Aroha Harris, who belongs to Te Rarawa and Ngāpuhi, is a member of the Waitangi Tribunal and a lecturer in history at the University of Auckland. She says she studied history partly because she’s a “failed novelist” who wanted to write and be a storyteller. But, as she tells Dale, she’s felt compelled to stick with it because of our continuing ignorance, as a nation, of our own history. Tēnā koe, Aroha. Your history as a kaimahi shows significant work through tribunals and with historians. What do you consider the most significant kaupapa you’ve been involved with? Being a member of the Waitangi Tribunal is probably the most responsible thing I’ve ever done. It’s a huge thing, listening to people expressing themselves about their history and bringing us kōrero that, even as a historian, I’d never hear. Some days, I’m a little scared of the responsibility. Sadly, you’re exposed to the angst and the riri, and the ongoing injustices that our people have endured. Does it have an impact on those who sit on the Tribunal? I can’t speak on behalf of other members, but I’d be disappointed if any of us weren’t, in some way, impacted. I don’t mean we take every single word as gospel and respond on that basis. But, often, the kaikōrero have carried those burdens across generations. Cold, hard facts are sometimes difficult to sit comfortably with. But, even beyond the facts, there is often a residual anger, or riri, or sometimes sadness. Despair, almost. It’s a lot for claimants to bear and, as a Tribunal member, I have to listen with respect and close attention. Most Māori have Pākehā bloodlines as well. So we’re witnessing injustices caused by a part of ourselves on another part of ourselves. Does that lead to internal conflict? Yeah, sometimes. It’s not always a fair split between our Pākehā and Māori ancestors. I have pretty interesting Māori ancestors who did things I may not have been proud of, back then. But that’s part of this process. Part of the healing is facing our past and embracing it. Warts and all. And not forcing the view that has Māori coming out looking good and colonisers looking bad. If we can break that up a bit and give up the idea that, as claimants, our tūpuna have to be eternally good, it’d be easier to come to terms with our history. Especially at the level of nation. When you were young, could you have imagined you’d be among the rangatira who’ve been at the Tribunal across the years? Never. I guess that’s the privileged part of being on the Tribunal. To sit alongside people like Tā Hirini Mead and to watch his brain in action. It’s phenomenal. Even if I’d been a student of his, I don’t think I would’ve had the same exposure to his intellect. And, who among the wahine have inspired you? My grandmother, hands down. My father’s mother, Violet Otene Harris, had a huge influence on me, even though we also had some good arguments. She was often dissatisfied with my behaviour. She was a Ngāpuhi and a Mormon. I struggled with how those two things could be balanced. She was always perfectly comfortable with it, never had the kind of identity angst that so many of us go through. She grew up in a different time and a completely different world from me and had an understanding of tikanga that I’ll never achieve, but which I also think is inaccessible now. She passed away in 2004, but she was a real anchor for me. She had a beautiful way of reminding me not to forget where I was from — that there’s lots of work to do and, sometimes, you have to be the one who cleans the toilet. She loved the reo, her first and best language. When kōhanga started, and Māori radio, she was in her element. I looked to her for all kinds of advice. Can you paint a picture of life for you as a kid? Talk to us about your mum and dad, brothers and sisters, and where you grew up. To start, tell us about your name. My mother gave me that name. I’m third out of five girls. No brothers. Which attracts all kinds of attention when you’re a Māori family. Mum called me Aroha because she had a miscarriage before she had me. It was an expression of her sadness. But when her dad saw me for the first time, she reckons he put his arms out and said: “Oh, you named your baby after Aunty Aroha.” He reckons I was named after his sister. My parents were just about to move into a Māori Affairs house in Te Atatu South. That’s where I am today. My dad still lives here. Mum passed away three years ago. I’ve built in the backyard. We’re an intergenerational whānau. Nephews come and go, then the next one turns up. Family home. Working-class neighbourhood. A free-range childhood. In and out of your neighbours’ houses. Big old sections. Big enough to have a softball diamond and chase the ball around. Milton Harris. He did work in the freezing works, but I only remember him as a truck driver. He just gave up driving his big rig less than a year ago. He’s in his 70s now. He Māori? Dad and Mum? Yep. They’re both from Hokianga. Dad’s from Mangamuka. Mum’s from Mitimiti, out on the coast. I credit my parents for giving us all a really good work ethic. One thing you get when you grow up milking cows, then shifting into the Auckland workforce, is a good work ethic. Margaret. She was a Leef from Mitimiti. 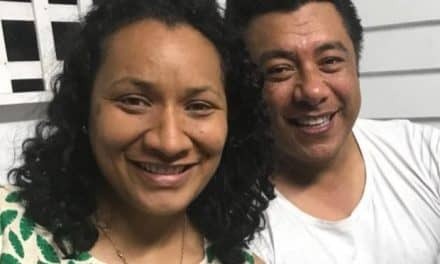 She and Dad met at the Māori Community Centre in Auckland. Have you heard stories of that place? It allowed people from all across the country to meet. It really was our first urban marae. Absolutely. A bunch of Māori and good live music — you’re going to get some wedding bells eventually. Dad’s uncle had a big house near Grey Lynn. So the young people from Mangamuka used to board with him. They‘d borrow each other’s clothes. Sometimes they asked. Sometimes they didn’t. It’s like they imported the whānau into Auckland. Lots of time at the Māori Community Centre and other places around Auckland, too. Just following the live music. Trades Hall, Orange Ballroom — and it was safe. My mum was the puhi for the Māori Community centre at about 13, so it has a special place in my family, too. Your dad didn’t have any boys — did he moan about that? Well, if he did, it wasn’t to us. What are your sisters’ names? Yvonne is the oldest. Then Laura. Then me, Phillippa and Haley, the baby. Are you a Rutherford College girl? No. I went to primary and intermediate here. But my mother sent me to St Joseph’s in Napier. She had a scholarship there for two years. Then I got sent there, too. Which, I imagine, had a big effect on you, too, because, at our Māori boarding schools, our rangatira were highlighted. How much of an impact did Hohepa have on you? A huge impact. I would’ve been hard-pushed to get te reo Māori at a mainstream school. It might’ve been just starting out here in west Auckland, though. But kapa haka and tikanga is deep in the St Joseph’s culture. You meet people from all over the country and make good friends. There’s an old girls’ network. It was a bit hard at first, but my parents insisted that I should stay — and I did for four years. Why were you chosen to go there and not your sisters? I didn’t know about that until I was an adult. It’s a big deal to me that the teachers would go to a family’s home and talk about their children. Apparently, they didn’t just do it with me. You were obviously shoulder-tapped. Our Māori boarding schools are under great pressure. Are you a champion of them? I’ve been struggling with this. I know St Joe’s is not in as bad a position as some. There’s been talk among old girls about what support we can lend the school. But I do wonder if we’ve thought through the current needs of schools like Hato Hohepa. What has changed — and do we need to change, too? This might get me into trouble, but I don’t think tradition is the only reason to hold on to the schools. It holds an important place, but the schools also need to be delivering an education that Māori currently want. Yes. Our kids deserve high-class access to modern technologies and teaching practices, and that’s not detracting from the successful ways of old. Is there anyone notable from your intake whom you stay in touch with or who had an influence on te ao Māori? Moana Maniapoto was ahead of me. Which puts Hinewehi Mohi just after me. In the teaching world, Deborah Marshall. But people have done well in education and entertainment and lots of different fields. Which teachers influenced the type of person you became? Georgina Kingi, who is now the principal. She was a huge influence in general. I had an economics teacher, Margot Woods, whom I adored because she was open-minded and encouraged us to think and be creative. And our history teacher, Robert Curham. He was really provocative — I liked it. 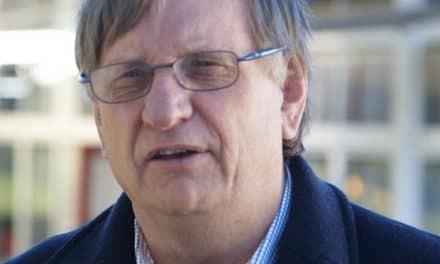 Many people lament that there’s so little focus on New Zealand history at secondary school, and so few study New Zealand history, including Māori history, at tertiary level. We need professionals like you who study and comment on the issues that have shaped us. Why did you study history? Partly because I’m a failed novelist? When I was young, I thought I could write a romance novel. But history gives you pre-made stories. They can tell a story about Ākenehi Hei being the first Māori woman to become a registered nurse in the early 1900s. And you can turn it into a story people want to read. It appeals to my desire to write and create and be a storyteller. But I guess I’ve stuck with it because we’re not as familiar with our history as we should be as a nation. I despair sometimes how ignorant people can be. I despair that we send our children to school and they never learn anything about our history. Naturally, you’ve played a big part in Te Pouhere Kōrero, the national organisation of Māori historians. Has it been a recent development? It’s older than people might think. We set it up in 1992. Danny Keenan was around in ’93 and Charles Royal, Miria Simpson and Hepora Young. We had a burst of life and then people went away to do PhDs and take on academic jobs and we revived ourselves in the 2000s. We’re a small enough organisation that we could probably meet in a phone box. But we have a broad view of what a historian might be. We have people who work in the public history area — libraries and museums. We’re not all at schools and universities. We share a passion for the Māori past and putting it front and centre. Are there international implications to our story of Pākehā settlement? We’re still looked to by First Nations people. Is there something about our story — like the loss of indigeneity — that resonates internationally? Definitely. It’s tricky because colonisation and the outcomes for indigenous people here are similar everywhere else. But we’re also remarkably different. I can’t quite put my finger on what makes us distinct. Timing might be a factor. We were colonised when in London they were talking about the abolition of slavery — and when the humanitarian movement was growing. In contemporary times, we’re a larger proportion of our population than other indigenous people are overseas. Our numbers might not stack up. For example, in Canada, the First Nations may have more numbers compared to Māori, but they’re a smaller proportion of the total population. That makes a difference to your visibility in society. I worry when these comparisons somehow show Māori as getting the better deal, because there are a whole lot of variables, and colonisation simply hasn’t been good for indigenous people. Comparison won’t change that. Your first book was Hikoi: Forty Years of Māori Protest. What was the driver there, and when you looked at that 40 years of protest, who inspired you? The driver was Huia Publishers. They asked me to do it. I was influenced by my grandmother, though I wouldn’t describe her as an activist. When I was finishing the manuscript, the Foreshore and Seabed Hikoi started. I took her to Rahiri, where the marchers were staying. That got me thinking, particularly about protest as a social movement. Not everybody gets to hold the megaphone or the placards, but there’s widespread agreement upon the kaupapa. And I wanted to draw that out. The other important thing was to show that protests have a cohesive history. Too often Māori protests especially are presented as disconnected flash points. That’s why politicians dismiss protestors as “haters and wreckers” and merely a “rent-a-crowd”. In the foreword I say that I couldn’t have written Hikoi without the works of Ranginui Walker. He was the “lofty mountain” to whom I bowed. I meant it then, and I mean it now. The country’s intellectual landscape was changed because of him, and will be changed again without him. You also collaborated with Atholl Anderson and Judith Binney in Tangata Whenua: An Illustrated History. How was it working with these people? Amazing. It’s the reason I said yes. They both have an amazing back catalogue of work. Atholl is so influential in the development of archaeology in the Pacific and elsewhere. To work alongside them and watch them do what they do so well was fantastic. It was a long and often hard project. But I don’t regret any of it and can’t think of a better way to be supported and mentored. Hirini Mead, Judith Binney, Atholl Anderson, Aroha Harris. That rolls off the tongue easily, doesn’t it? It worked very well. Many believe civic studies are lacking in Aotearoa. What do you think about civic studies or compulsory reo in schools? I wish we could be open to other languages as they are in parts of Europe. I would love to see compulsory reo in schools. But I don’t think our country is psychologically equipped to accept it. I’d like to see Treaty education improved. Some schools make a great effort. Some schools get it a bit wrong. Some schools do nothing. Some days I despair. You’ve worked hard with Te Rarawa and helping your iwi. Do you sense that’s going to be an ongoing mahi? There is ongoing work there for anybody who wants it. I hope, hope, hope that we’re over the hard part, because we’re through the tribunal and negotiations process. I admire anyone who puts their hand up for iwi development work, because the politics alone are a lot to take on. I look forward to when iwi take a lead in research among their own people. I’m trying to write, or helping to write, a Waitangi Tribunal report. I can’t quite see the light at the end of the tunnel yet. But I hope there are more books, in the next 10, 20, 30 years. I dream of the Māori bookshelf and what Māori history books will be on that shelf. And I still have that dream of writing my novel. That might be my retirement project. Dr Aroha Harris (Te Rarawa and Ngāpuhi) lectures in history at the University of Auckland. 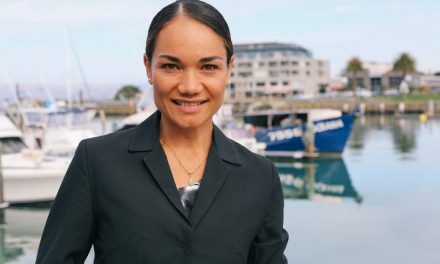 Before her university appointment, she worked in both historical and social research for government departments (including the Waitangi Tribunal Division), private organisations, and iwi. 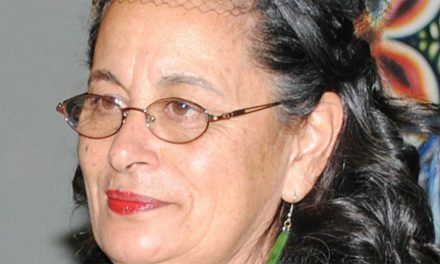 She continues to provide research advice to Te Rūnanga o Te Rarawa on a range of iwi development projects, including the negotiation and settlement of Te Rarawa historical Treaty claims. Aroha is a founding member of Te Pouhere Kōrero, the national organisation of Maori historians, and the editor of their journal of the same name. 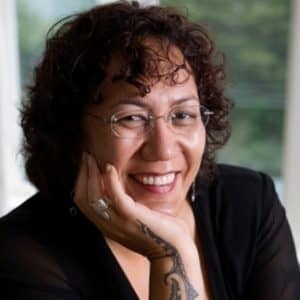 She has variously published in edited collections and academic journals, and her first book, Hīkoi: Forty Years of Māori Protest, was published in 2004. Aroha was appointed to the Waitangi Tribunal in 2008.